I have seen many unique artists live in my lifetime, including many bands that might be considered some of the greatest of all-time. In spite of that, there are still a few bands that I need to check off the bucket list and KISS was one of those. The band's storied career now spans 40 years since they started in the New York city club scene. Say what you will about KISS and their music, there is perhaps no other band that is so hard working and determined to give their fans their money's worth during their live performances. 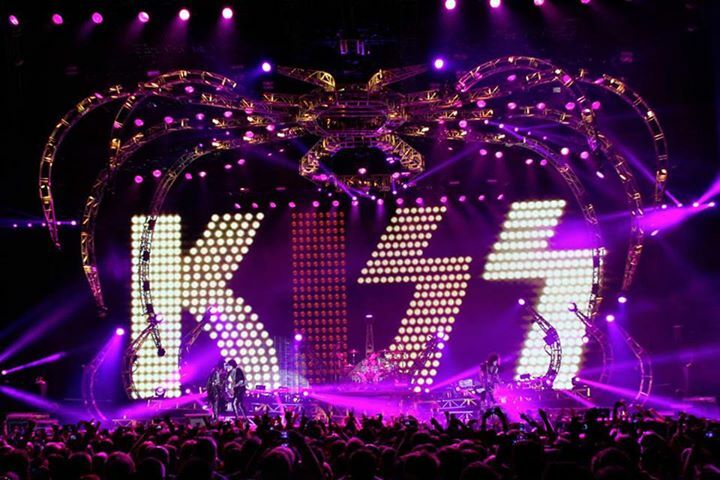 KISS put on quite a spectacle at Helsinki's Hartwall Arena on June 3rd. KISS rolled into Helsinki as part of their "Monster" tour. Having never seen a live KISS show before, I had no idea what was in store for me. The band kicked off the night by being dropped down on a platform from the ceiling of the arena. The stage extravaganza seemed to never let up as countless flames, fireworks, smoke and explosions filled the night. Gene Simmons did his patented blood spitting and even blew fire during the night. Paul Stanley flew through the air and Eric Singer's drum set was raised high in the air. These rock dinosaurs' stage set was on steroids. The music also lived up to the legend as they played most of their greatest hits including "I love it loud," "Deuce," "Heaven's on Fire," "Detroit Rock City" and many other favorites. I was never a huge fan of their music to be honest, but I think their music has a place in the rock world and it sounds great live. 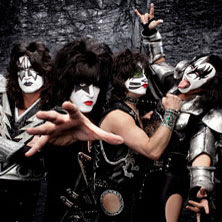 During their long career they have done rock, metal, pop, ballads and even disco. 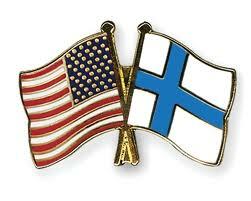 I thought the Helsinki show was great and probably beyond my expectations for a bunch of guys in their 50s and 60s. I think the big question that remains is when is the band going to retire for good. Perhaps the KISS machine will continue with different reincarnations of members in full make-up playing the same characters? I kind of find it hard for them to continue without any of the original founding members. What happens in the future remains to be seen.